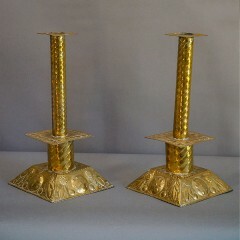 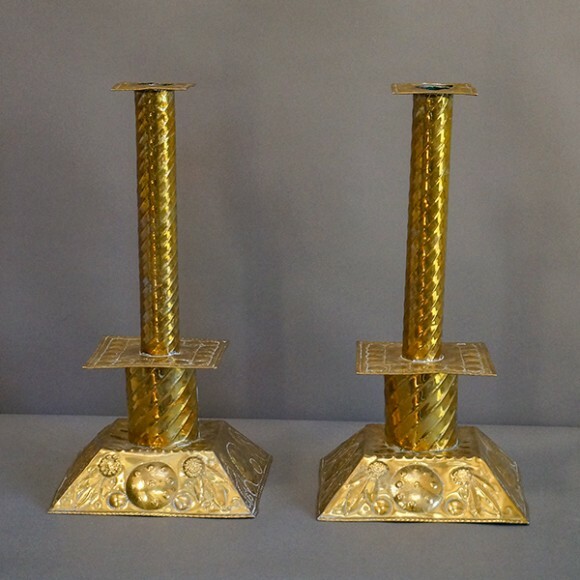 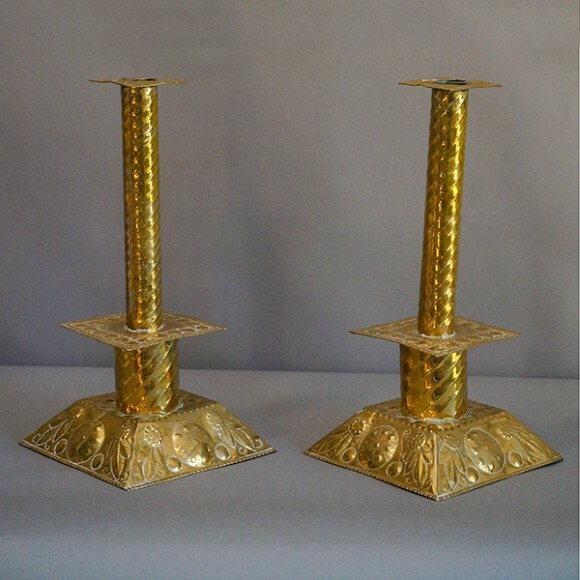 Pair of hand-made Swedish candlesticks, circa 1880. 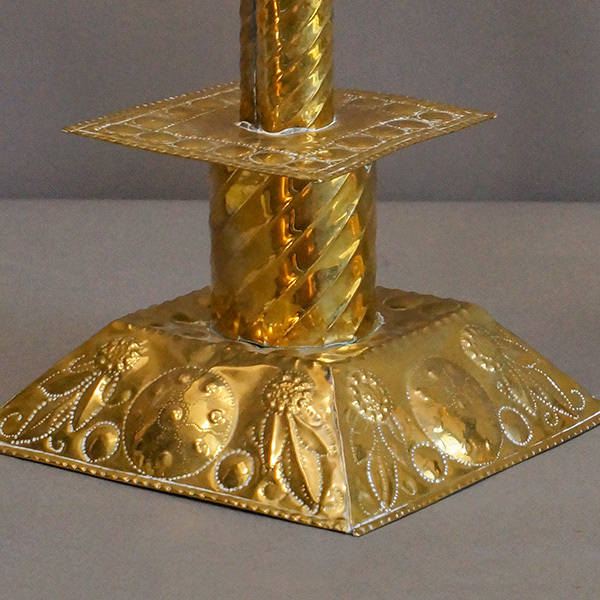 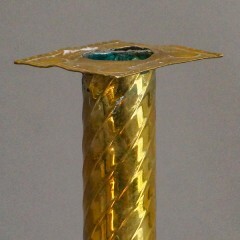 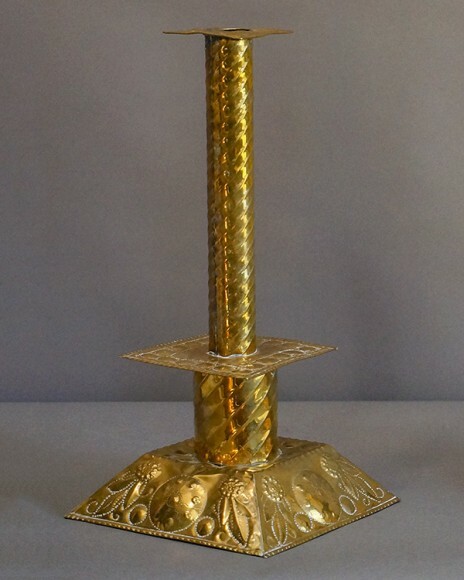 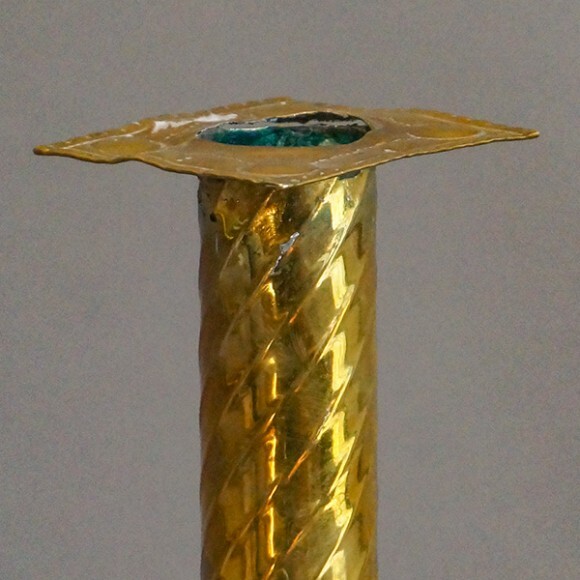 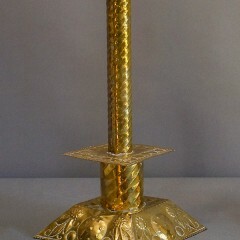 The base is hammered and punched with flowers and foliage, and the stick has a twisted design. 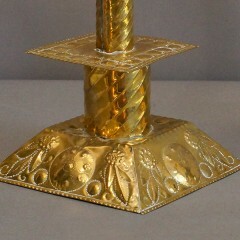 Highly polished.